Located in the deed restricted industrial park Satsuma Station, FedEx Freight is FedEx’s regional freight terminal and one of the largest hubs in the FedEx Freight network. Completed in October 2008, the 153,853 square foot terminal features metal and tilt wall construction, a cross dock with a maintenance building, and a mason reconstructed office building. FedEx decided to expand the size of the terminal from its original plan by about one-third in order to accommodate Houston’s growing freight needs. 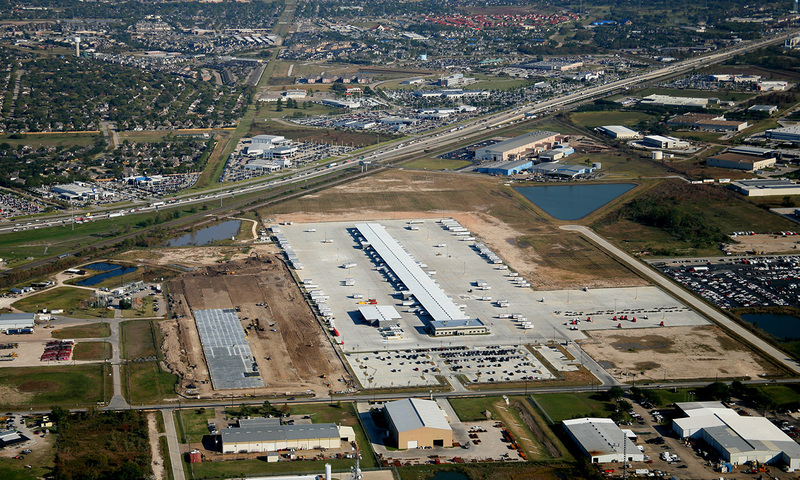 Satsuma Station Industrial Park is a strategic location for this northwest Houston facility, as it serves the heavy industrial businesses in the area. The 115 acre distribution complex serves the logistics, warehousing, and/or distribution needs of several local and regional industrial tenants.